I'd already been using the GreyWyvern name for a few years before I actually registered the domain. It was 1997 or so, I was in high school, designing QBasic programs, and fancied a nom-de-plume for posting them to various online forums. At the time the name was a harmonious confluence of my favourite colour and a fantasy creature; just something I happened to dream up. Wyverns are dragonish creatures which have wings instead of forelegs, and someone once told me that there had been a "Grywyvrn" monster you could fight in Final Fantasy IV. I thought this was rather unfortunate, for if it was true, I had no way to prove that my choice of the name was an example of convergent creativity rather than video game inspiration. Still, I am an avid fan of the Final Fantasy series and have actually played through installment IV several times and never remembered seeing such a monster. And after poking around several online bestiaries, I am pretty sure that someone was mistaken. Since that time, I've had a love/hate relationship with the name. Sometimes I really grooved with it, and other times I debated dropping it in favour of a nickname that was more... well, me. But I grew into it, you could say, and it defines a great deal of what I do online these days. So I think I will keep it for the time being. GreyWyvern.com itself was born in the summer of 2000, when I registered the domain. I'd just gotten booted off GeoCities for violating their ToS, or some such nonsense. That event was the impetus for my decision to buy my own little corner of the internet rather than shack up with another "free" service provider. It gave me the freedom to post whatever I wanted, including MP3s of my own music compositions for which GeoCities had given me the heave-ho in the first place. In the beginning, I pretty much slapped my whole life online. Music, drawings, stories, programs, even a primitive weblog – updated manually in plain HTML of course! Eventually I came to realise that the site was becoming little more than off-site, publically-viewable storage for my local hard drive. Beyond that it didn't have a purpose, or mission. The website (and I) needed a change. Unrelated, but contemporary, events in a couple online communities drove me to sever a a great deal of networking I'd built up since I'd first set up shop on the Internet. It was a difficult, but refreshing time in my life which allowed me to focus on bringing GreyWyvern.com about onto its new heading: All about online stuff and junk. You may come across this site and ask yourself why it looks... well, broken. The answer is that I have designed the site using a lot of CSS3 which isn't widely supported yet. In fact, at the time I completed this template, no currently released browser displayed all of it properly. It is hoped that the design of this site will "grow into" increasing CSS3 support among all browsers. I guess you could say that the site is my own personal Acid Test. GreyWyvern is Brian Huisman, a professional web developer living in Ontario, Canada. If you meet him in person, he does not mind being called "Grey" for short; he's gotten used to it. He also finds it odd writing this in third-person, so let's stop that mm-kay? Oddly enough I have a degree in biological sciences from the University of Guelph, Ontario. Since I never went into the field though, it's not something I bandy about. Still, I do find the subject – among other sciences – particularily fascinating. I designed and manage the website of Road Apples Almanac, a hilarious webcomic by my good pal Don van der Ahé. I've been a fan of webcomics for years, but it's only since diving into the genre by assisting in publishing RAA that I've truly opened up to the amazing community surrounding this artistic medium. You can find a list of all the fantastic webcomics I follow in the sidebar of the front page of my site. 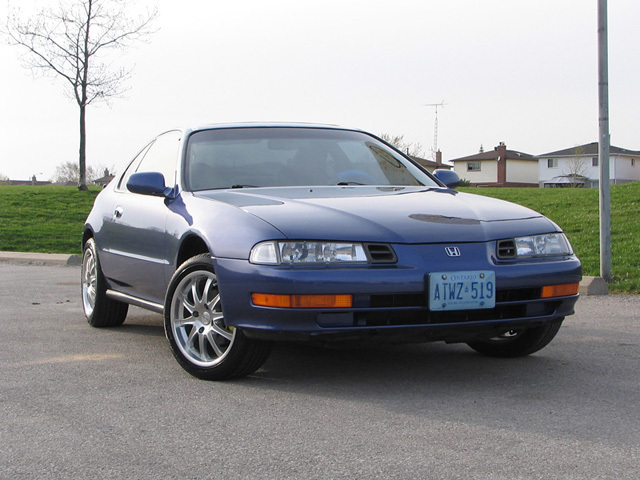 I own a fourth generation 1992 Honda Prelude, and am a team member and junior moderator of the Toronto Prelude Club. If you'd like to use a link banner to link to me, here are some I whipped up.